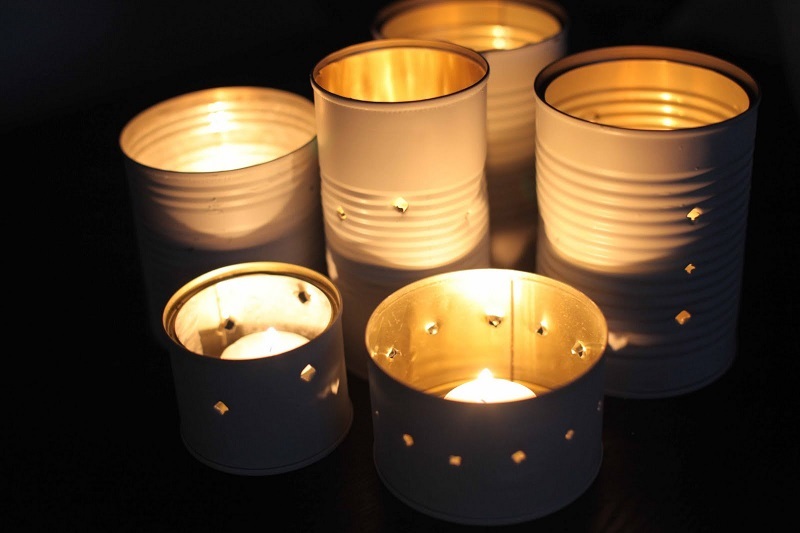 Decorating with cans is easy, and there are thousands of solutions. Here I propose only five, but with a little imagination, you can think of thousands. Do you want to try? Even some of these ideas can be done with your children, so they have some activities to do as a family and everyone will have a great time. It is very easy to do and it will only take a few minutes, depending on the design. With the container very clean, make a series of holes with a punch. These holes can go around the contour, zigzagging or with the design you want. Finally, you only need to add a small candle inside, when you turn it on you will see what beautiful sparkles it throws. One idea is to paint the outside of the container to beautify it. Take several cans and place them in a pyramid shape, fixing them all together. The cans should go horizontally to introduce the bottles. Of course, you have to get rid of the bottom of them. You can also paint the set so it looks much more beautiful with tin can decoration. 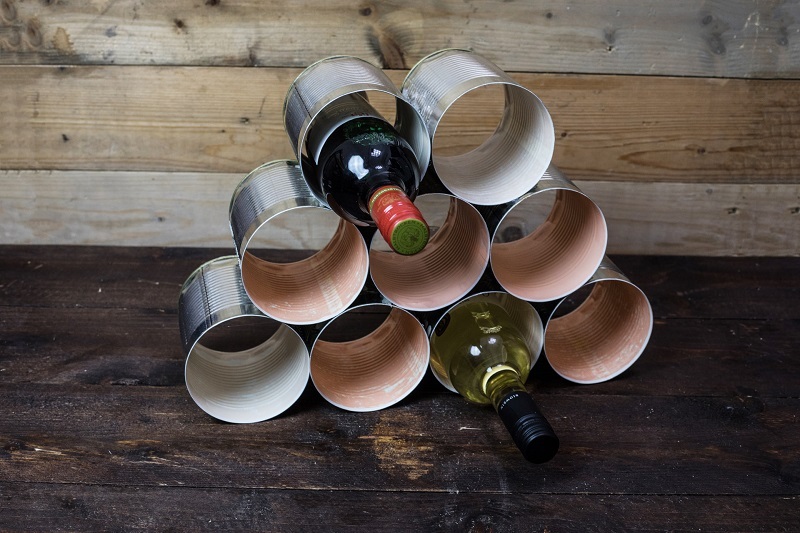 It’s a great way to keep tidy bottles of wine. 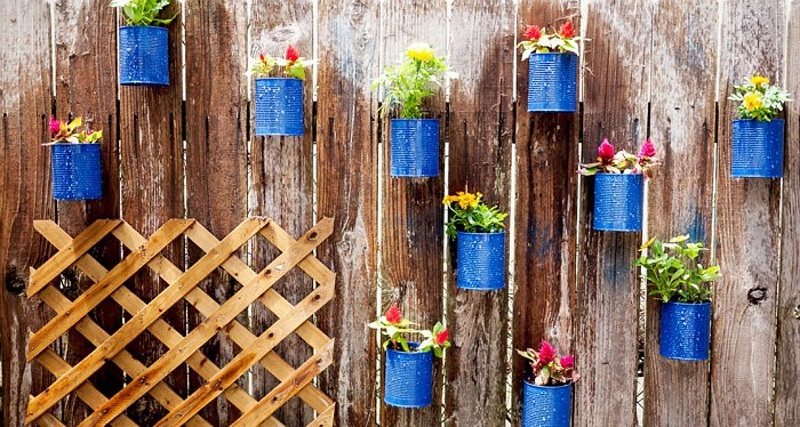 If you do not have much space, hang the cans in a structure or directly on the wall. If you put a few in the form of a row or the way you prefer, you can have a beautiful garden or ornamental plants on your terrace. Bet on urban gardens! Through the base, add a bulb with its corresponding cable and the necessary cap. Make sure that the lamp does not release much heat so that the material does not overheat. Then, as in another of the previous ideas, you can create a nice design based on holes. 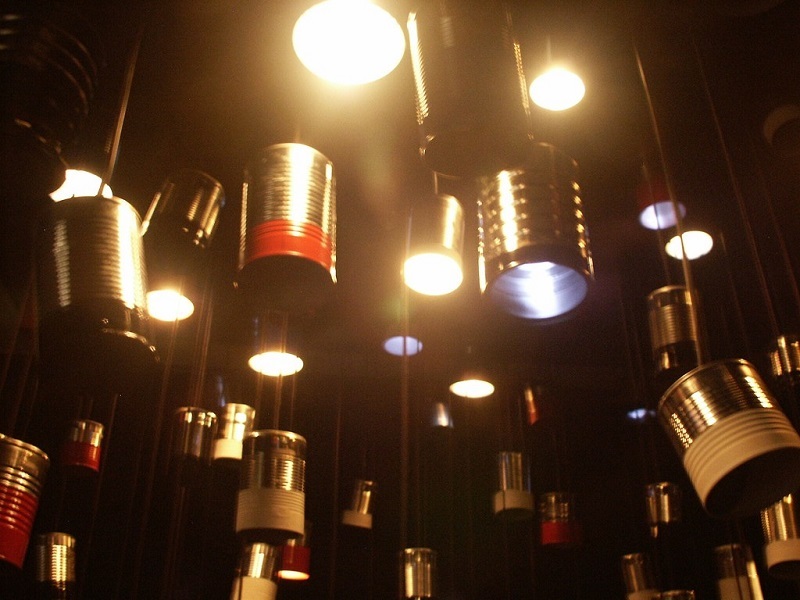 When you turn on the light you will see how beautiful your tin can decoration is. Cut out soda cans with scissors. Then stick the pieces on a clean surface. Finally, add a layer of plaster and leave it dry. To finish, moisten a cloth and go through the pieces of tin to remove the plaster. The result will look like a mosaic. What more ideas do you come up with? How do you like to recycle these containers?